Weekend is the time to relax and plan for your movies, outings, meet friends, go for parties, etc. 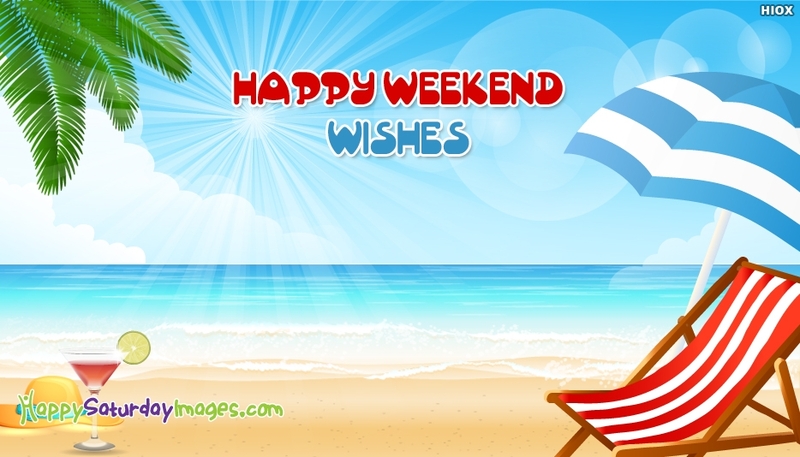 This happy weekend wishes picture takes us to the weekend mood even if you are in the middle of the week. With the portrait of a private beach and the easy chair and umbrella, this happy saturday picture makes us to wish that we are there. You can download this picture or share in social networking applications for free of cost.